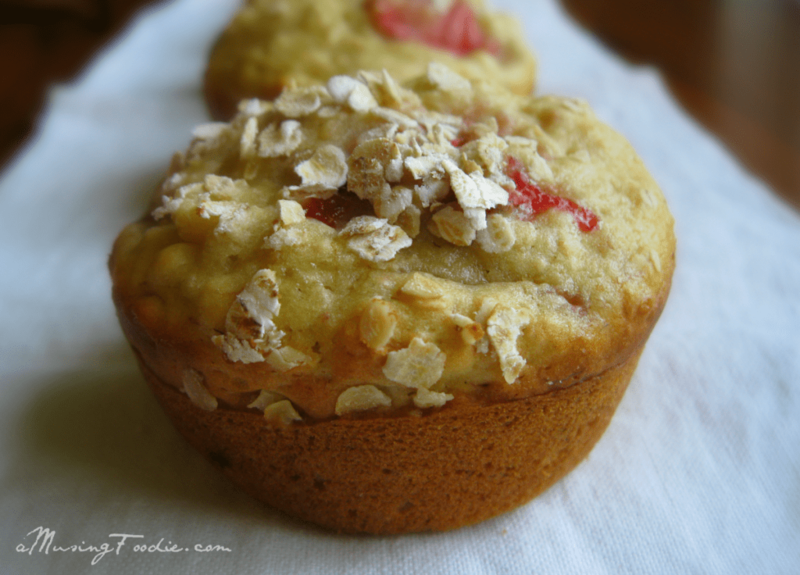 These strawberry banana oatmeal muffins are the perfect grab-n-go breakfast or snack. Be sure to try one warmed up and slathered with butter! May, June and July proved to be three of the busiest months of my life. OF MY LIFE. Okay, perhaps I’m being a little melodramatic. The reality is, we did have a lot going on—mostly good stuff—and I’m glad that it’s all over. We sold our house and moved to a new house. My daughter had her dance recital, final competition in southern Maryland and Nationals in Virginia Beach. I traveled to Boca Raton, Fla., as a blogger for ADMERICA! My husband coached a travel lacrosse team. My son had a week long kindergarten camp. I changed jobs (same company, different position). We finished renovating the garage to a family room in the new house. And we spent a week with my family at Slaughter Beach in Delaware. And I didn’t write at all. I miss writing. So, the craziness is starting to die down, and I’m [clearly] writing again. WRITING! 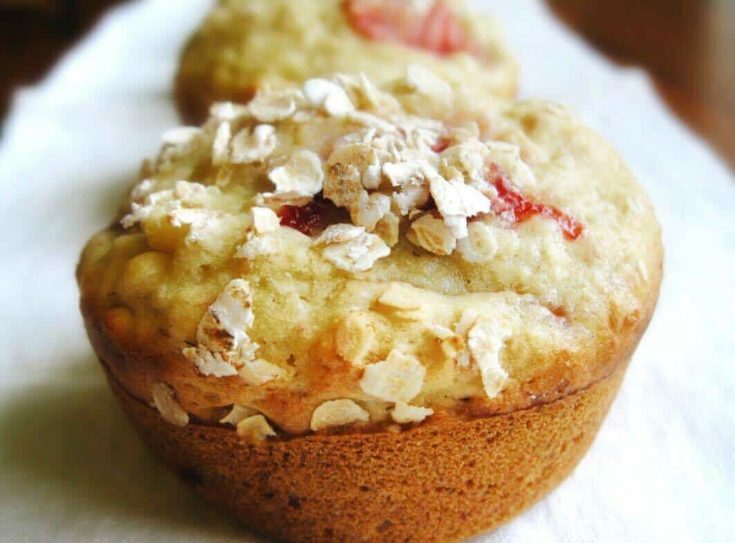 These strawberry banana oatmeal muffins. 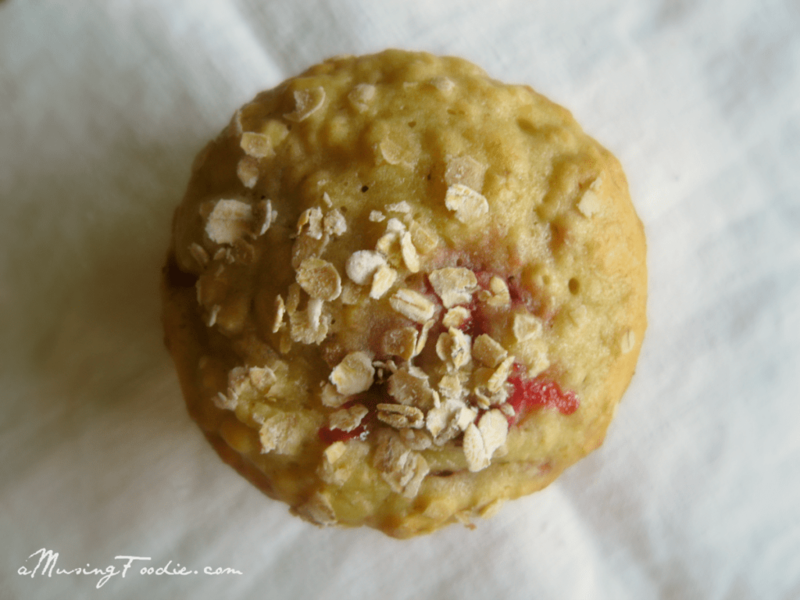 I baked a big batch in June just when the craziness was in full swing so that we could grab and go for breakfasts and snacks. 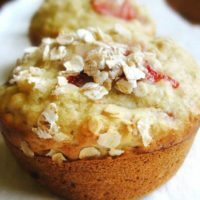 The chunks of strawberries and bananas were a HUGE hit with the kiddos and the husband, and I loved the texture of the oatmeal. They’ll also freeze well, which can be extremely helpful if you bake a super huge gigantic batch of muffins. Once they’ve cooled completely, simply stand them in a zip top bag (flat) and then lay the bag (flat) in the freezer. Pull one out to throw in a lunch bag (it will thaw by lunchtime) or microwave it for a few seconds for an easy breakfast. Preheat the oven to 350°F and place paper liners in your muffin pans. Whisk together the flour, sugar, baking powder and salt in a large bowl until they're combined. In the bowl of a stand mixer fixed with the paddle attachment, add the eggs, oil, butter, milk and vanilla. Place the setting on medium and mix for 2 minutes. Gradually add the flour mix to the wet ingredients, and continue mixing until the batter is just combined. Add the oatmeal, banana and strawberries, and mix on low for 30 seconds. Use an ice cream scoop to fill each muffin tin about half-way to two-thirds full, and then sprinkle each one with a little more oatmeal. Bake the muffins for 25 minutes, or until the tops are golden and they bounce back when you gently press with your fingertip. Let the muffins cool in the pan for 10 minutes before removing them to a wire rack to cool completely. Makes about 24 muffins. I can’t wait to try these.. I will come back and rate the recipe.. thanks for sharing. Thanks, Mary! Can’t wait to see what you think! 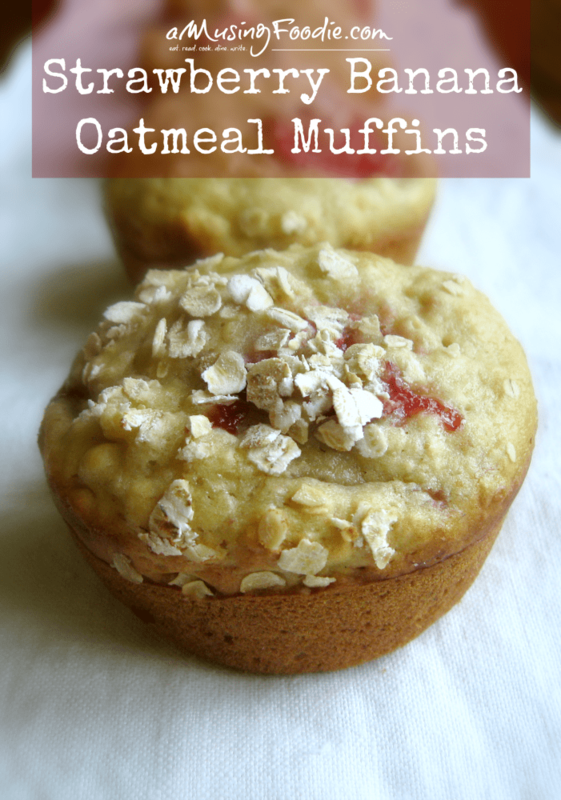 I’m about to try making these but am a little worried about the lack of baking soda and the fact that the sugar is not miked with the wet, or that the oats are not soaked at all before hand. I hope they turn out because they go against usual mixalegy. Janice – I always mix my sugar with the dry ingredients, and baking powder is a frequent ingredient in many of the baked goods I make. I’m sure it wouldn’t hurt to soak the oats first (especially if they’re a heartier steel cut variety or something), but I didn’t find it necessary. Good luck — you’ll have to come back and share your opinion! They turned out alright, but I think I will cut down the amount of baking powder and use some baking soda. They were too light to hold that much fresh fruit without becoming very hard to handle and just falling apart. Yes – they are definitely a lighter, fluffier consistency vs. something more dense. You’ll have to let me know how it goes when you tweak the recipe! These look so good. I’ve got to make these! These look so good! I pinned them to try soon! 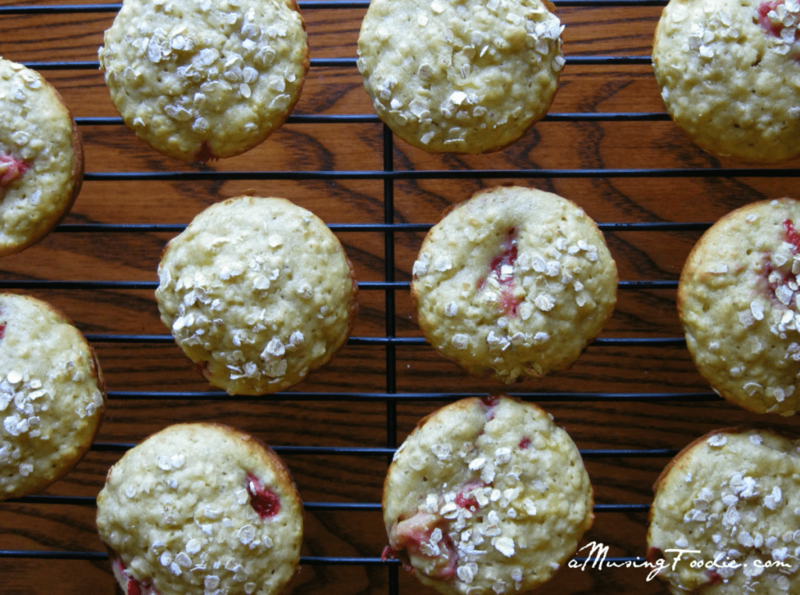 These look so yummy and a perfect back to school snack or quick breakfast! Can’t wait to try it! These looks delicious and just in time for back to school!!! I can’t believe I never thought to freeze muffins and pull them out for lunch boxes. I’m goin to have to try these, thank you. The past three months have been pretty busy for me too, but only seems that things are going to get even busier and hectic for me. I am loving your recipe, I will have to slow down and take some time to try it out! Thanks for sharing! These look so delicious! They look very healthy and seem easy to make. I make muffins every week and strawberries were plentiful this morning at the market. I’m going to make them tomorrow, I’ll share the pics with you! I made these today, and they are delicious! Next time, I will cut the strawberries into slightly larger pieces. Awesome! I bet large strawberry chunks would be amazing, for sure. Oooh – I bet chia and flax seeds go really well with the strawberries (pecans, too)! I made a half batch with 2 bananas & a few other subs to sneak some protein in & use what I had but they were still fluffy and delicious. Oh, lovely! Thank you for stopping by!